It is tempting to buy cheap replacement parts that may not be up to the approved standards. However our experts strongly discourage this as relying on non-genuine parts can do more bad than good. Garage door parts are especially designed to fit in an overall system of a moving machine. Always buy genuine parts if you have to. 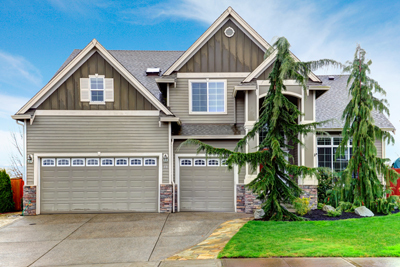 The best way to know if there is something wrong with your garage door is to visually inspect it. Be familiar with how the whole thing is supposed to look and if there are parts that look misplaced or misaligned. Also, it is the best way to know if rust is starting to form or if the garage door is getting too dirty. Garage door hinges require a certain space of clearance for them to perform their function properly. If something gets lodged in the way of the hinges, the entire garage door could get stuck or even break. Small sticks and stones can get in the way of the hinges, so make sure that they are always clear.